Bring one large pot of water to a boil. 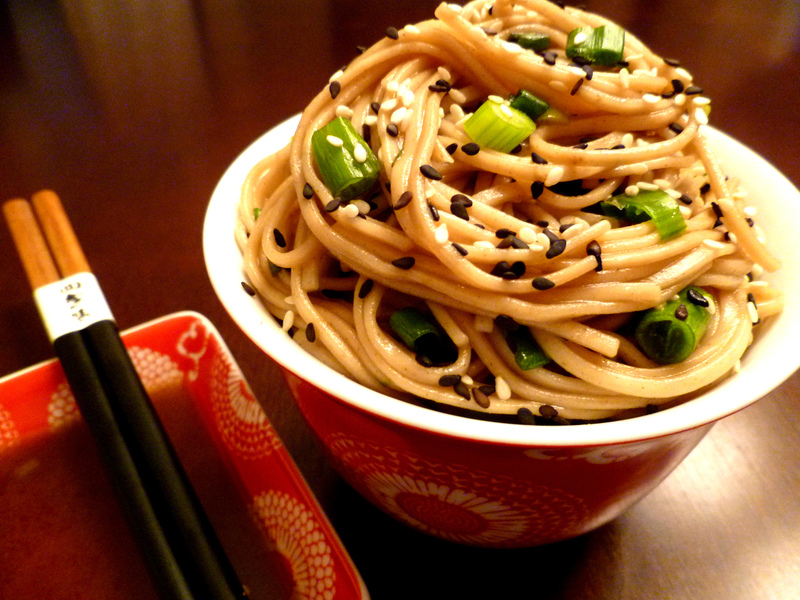 Cook soba noodles according to package directions. Immediately drain and rinse noodles in a colander under cold water until noodles are cold. Set colander aside so noodles can drain completely. Mix seasoned rice vinegar, soy sauce, sesame oil and honey or agave nectar. Whisk until emulsified. Put drained noodles into a serving dish and mix dressing and onions in. Mix throughly (your clean hands work best) then sprinkle and work in sesame seeds. Thank you! This is a really easy recipe, too! Hope you enjoy.